Guys usually have big problems with dandruff. The common shampoos you can buy from supermarkets are not really efficient against dandruff. 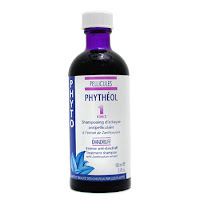 That’s why I recommend a shampoo from Phyto called Phytheol Force 1 Intense Anti-Dandruff Treatment. It regulates cellular activity to reduce dandruff. After a couple of uses, your scalp will be healthier and you’ll get rid of this troubling problem.